“The Ojuelegba song has made so much revenue for Wizkid. I am not bothered about that but I want the industry to be in a position whereby people will understand that some of the artistes and the songs they are cheering is someone else’s efforts, especially fellow artistes that they are doing everything to bring down. All they are doing is to bring down Blackface and to say that he is not relevant in the industry. Some people are bent on killing my legacy. I believe there is definitely a gang-up against me in the industry and this has been going on for a long time,” he said. Asked if he had taken on Wizkid personally on the matter, the dancehall artiste said he did his best in that regard but that the response from the Star Boy act shocked him. “There was a time Wizkid followed me on twitter and I told him that I don’t want him taking my songs and that if he wants to do any of my rhythm, he should let me know. I told him that because I was just being a big brother to him. I told him that our songs can’t be sounding so similar and that if he wants anything, he should let me know. But after some time, he ‘unfollowed’ me and it was shortly after then that the Ojuelegba song was released. I don’t have any problem with Wizkid or any other person, all I am saying is that they shouldn’t be tampering with my songs because those are my properties. 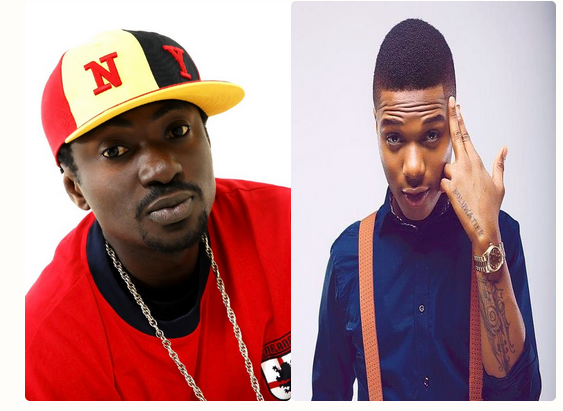 “Wizkid and I do different kinds of music and he doesn’t have my type of skill. I don’t have a problem with that. I am only bothered when somebody takes my song and tries to turn it around into theirs without giving me due credit,” he said. Efforts to reach Wizkid to react to Blackface’s claims proved abortive as his phone numbers were switched off. His manager, Sunday Are, couldn’t be reached as his line was switched off as well.